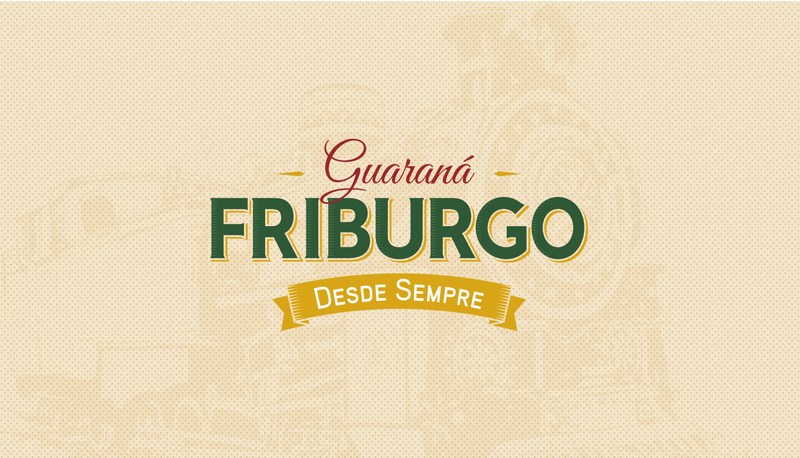 Soft drink packaging and visual identity for Guaraná Friburgo. In january 1870, rail road arrived to the sleepy Nova Friburgo village, in the mountainous region of Rio de Janeiro, Brazil. Since then, steam locomotive would change the history of the region, bringing strong encouragement to economic development and touristic activities. The train departed every morning from Niteroi Station. After some stops it would arrive in Cachoeiras de Macacu. From there, passengers would catch another locomotive more suited for the mountain climbing. That would be the start of the trip to the majestic mountain of Nova Friburgo! 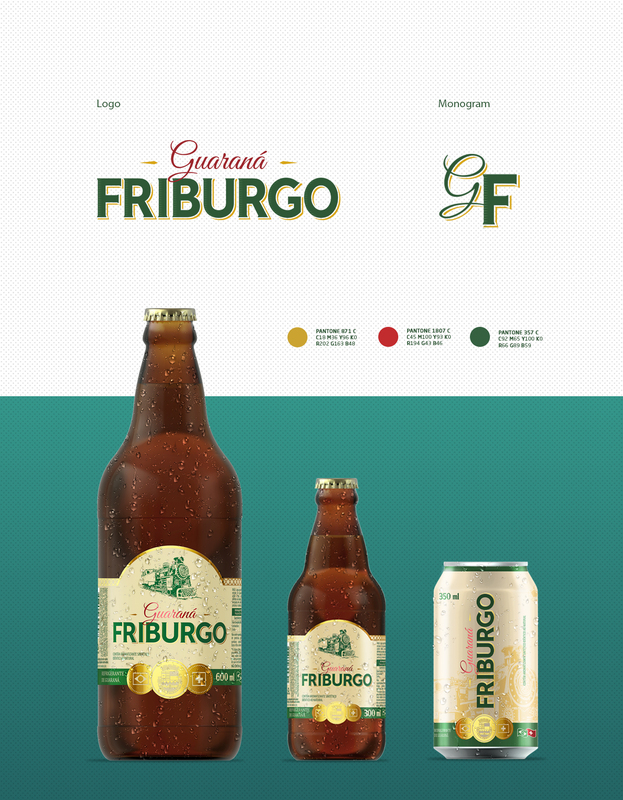 The challenge presented for the creation of the visual identity of Guaraná Friburgo soft drink was to bring back reminiscences of the glorious past of Nova Friburgo. We choose the steam locomotive as a symbol, as it is still part of the memory of locals. The image with vintage style is based on typical architectonic details of the city. Representative medals of the city, of Brazil and Switzerland are part of the graphic range. 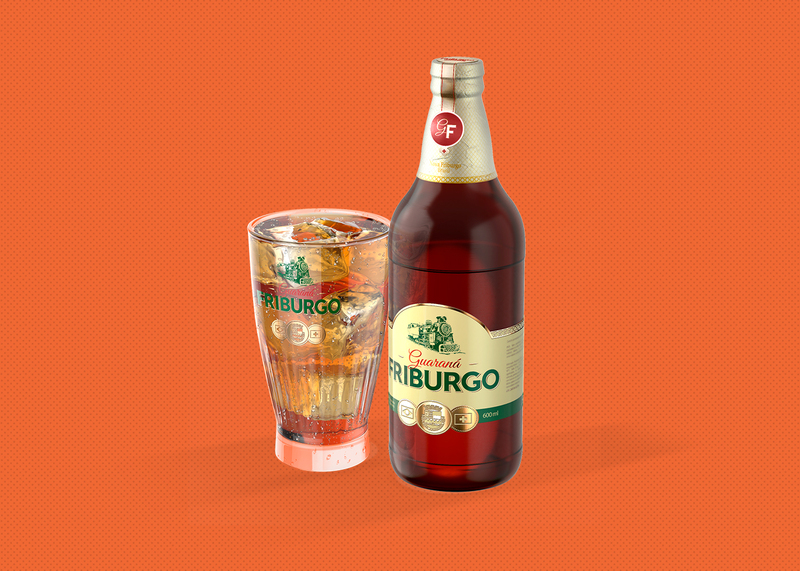 The identity conveys a sense of refinement and traditional sofistication. 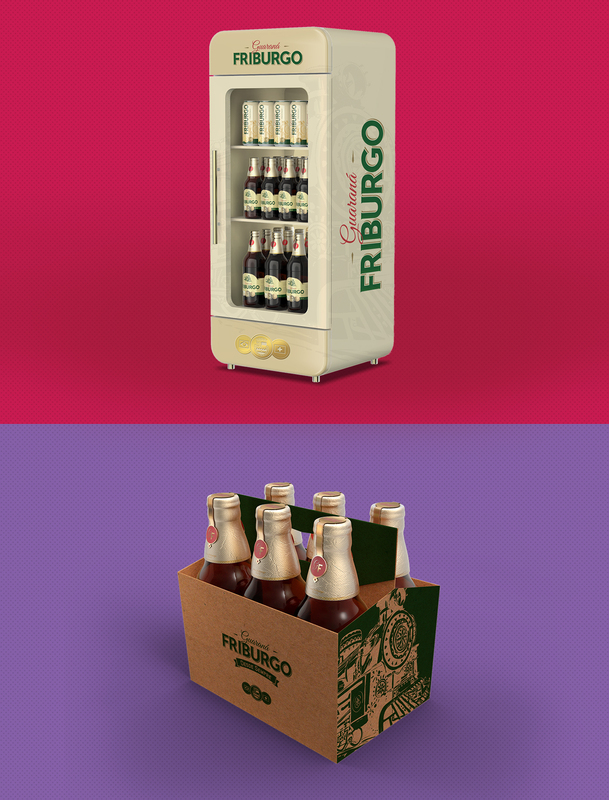 The line of products comprises 350ml cans and 300ml / 600ml glass bottles.